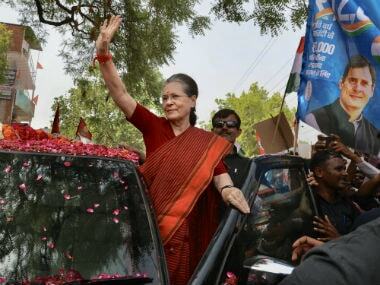 The sight of two senior BJP ministers — Rajnath Singh and M Venkaiah Naidu — driving inside 10 Janpath, Congress president Sonia Gandhi's residence, on Friday morning by itself was very significant. They had arrived at 10 Janpath with a due appointment to discuss the presidential election with Gandhi. The two ministers are part of an outreach committee specially constituted by BJP president Amit Shah with the purpose of "building a consensus" to elect the next head of the nation. The third member of this committee, finance and defence minister Arun Jaitley was not there because he is away in Seoul. 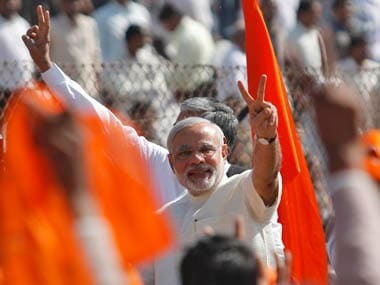 By deliberating with Sonia Gandhi and proposing to meet Nationalist Congress Party (NCP) chief Sharad Pawar and Communist Party of India — Marxist (CPM) chief Sitaram Yechuri and a host of other opposition leaders, the BJP has effectively countered the criticism by its political rivals that the Narendra Modi government was not interested in building consensus on an issue as important as the presidential election and was thrusting unilateralism over others. Going by the media briefing of senior Congress leader and Leader of Opposition in Rajya Sabha, Ghulam Nabi Azad, after Singh and Naidu's meeting with Gandhi, it can be assumed that it was more of a courtesy call than a structured deliberation over a substantive matter. The ministers did not take any name or a panel of names in the meeting. Instead, Azad said they asked for a name if Sonia was to offer one to the ministers. The Congress's argument was how could there be a consensus without a name being taken on the discussion table. It is noteworthy that in 2007, the Congress had sought the support of BJP only after announcing Pratibha Patil as its presidential candidate. In 2012 too, the situation was broadly the same when Congress decided to field Pranab Mukherjee as its presidential candidate. The Atal Bihari Vajpayee government in 2002 was successful in building a broad consensus over the surprise name of APJ Abdul Kalam. Barring the Left Front, almost all parties including Congress supported Kalam's candidature. The nominations for the July 17 election will close on 28 June. And nobody has an idea as to how things are going to unfold over the next 12 days: will there be broad consensus or confrontation? The numbers in the electoral college or value of votes are stacked in such a way that the candidate named by Prime Minister Narendra Modi or the BJP-led NDA is sure to win the election. But given the nature of the president's position as the head of the state, any consensus building effort across the political spectrum is always welcome. But one must remember that Kalam was one such bipartisan name, which brought even known bitter political rivals together. Ghulam Nabi Azad is thus right when he asks how could there a consensus when no name has been given by the ruling dispensation. The key question thus remains who would be ruling NDA's candidate as proposed by Modi in due course. So far the BJP or the Modi government has not deliberated on possible names, at least that's what was told to Sonia Gandhi by Singh and Naidu. 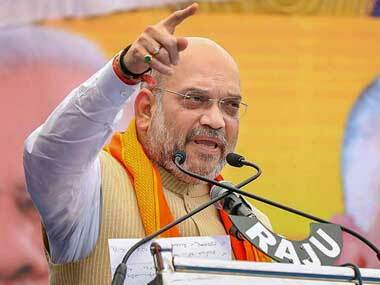 Shah will be meeting Shiv Sena chief Udhav Thackeray in Mumbai on 18 June. No particular agenda for that meeting has been outlined, however, it is understood that the presidential election would come up for the discussion. In the 2007 and 2012 presidential election, Shiv Sena had broken ranks from the NDA and supported Congress candidates — Pratibha Patil and Pranab Mukherjee. This time around the BJP would be keen that all NDA constituents remain united. Though Shiv Sena is part of the government at the centre and in Maharastra, it leaves no opportunity to take a potshot at Modi and the BJP. 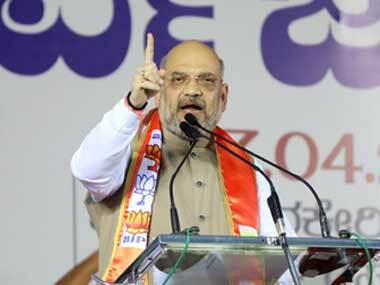 Shah's meeting with Thackeray thus assumes additional significance. While the deadline to file nomination papers for a presidential candidate is 28 June, Modi or Shah could announce the name of ruling NDA candidate a week prior to that. The prime minister has to leave for the United States on 24 June, where his meeting with President Donald Trump is scheduled on 26 June. A union minister told Firstpost that prime minister would like to be present beside the NDA's presidential candidates when the latter files the nomination papers. The presence of the prime minister and other top leaders of the ruling dispensation has also been the norm. Thus, if the prime minister has to be present on this occasion, it should ideally be scheduled on June 23, a day ahead of his departure to the US. If that be the case then an announcement of the presidential candidate should be done at least a day in advance on June 22 to give everyone time to prepare for the nomination. It was suggested by senior BJP leaders that a decision or the announcement of NDA's presidential candidate can't be done prior to 22 June. After all 21 June is a big event day for the Modi government. It was at Modi's insistence that the United Nations had adopted this date as International Yoga Day. This time around Modi would move out of the national capital and fly to Lucknow to celebrate the day by doing yoga exercise with chief minister Yogi Adityanath. Modi's landing in Lucknow, first after the Yogi Adityanath government took the oath of office, has its own significance. All union ministers have been given a travel plan to go across the country and do their bit to popularise yoga. It is unlikely that Modi would nix the hype around International Yoga Day programmes by announcing the name of his presidential candidate. June 22, they say is the most appropriate date to make that big announcement. However, given Modi's style to spring surprises while naming a person for top positions, even senior BJP leaders including ministers are not able to figure out who that person could be. The names which are appearing in the media — Draupadi Murmu, Sumitra Mahajan, Sushma Swaraj, Thawar Chand Gehlot, E Shreedharan or any such other name — are mere speculation of intelligent minds than informed reporting. 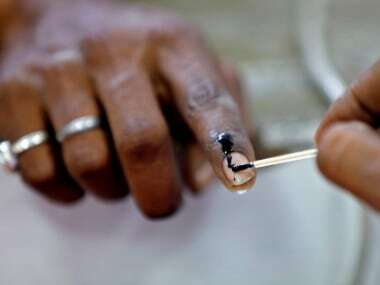 One has to wait for exactly one more week to know who is going to be the next President of India.